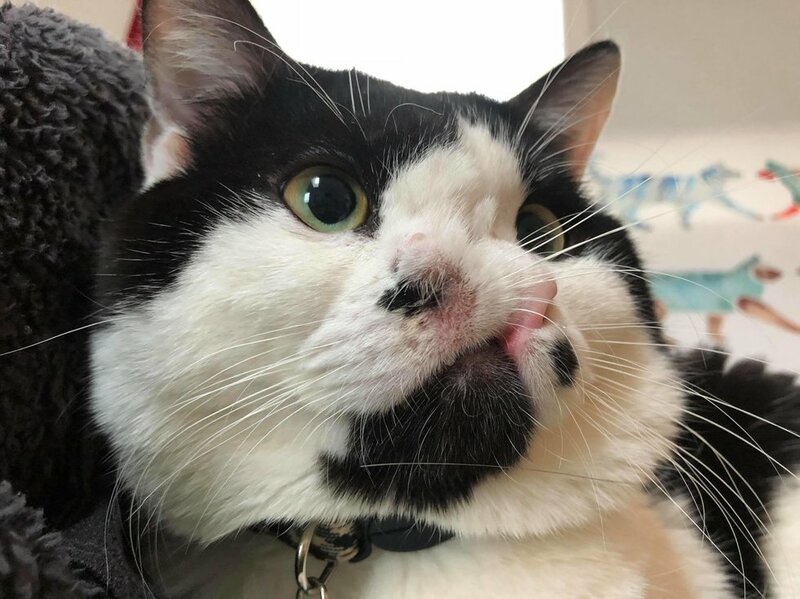 Memphis the cat is a sweet 1-year-old boy that looks just a bit different... he has two noses! Memphis was born with two adorable noses and facial congenital abnormalities. Our friend Tara Kay, founder of the Odd Cat Sanctuary, received a message from one of their volunteers about a cat needing rescue. "The kitty was being given up, and area shelters in Massachusetts threatened to euthanize him," Tara told Love Meow. Tara sprang to action and immediately brought the sweet boy into her sanctuary, giving him a second chance at life. "He was born with deformed soft palate, smushed face and a cleft lip. Both noses are functional. He does breathe louder and snores! But he does great," Tara told Love Meow. "Our volunteers are always on the look out and step up when a cat is in need of a safe place for being different," Tara added. That's the Odd Cat Sanctuary way! Memphis doesn't let his differences get in his way. He loves to be loved and purrs like a lawn mower. 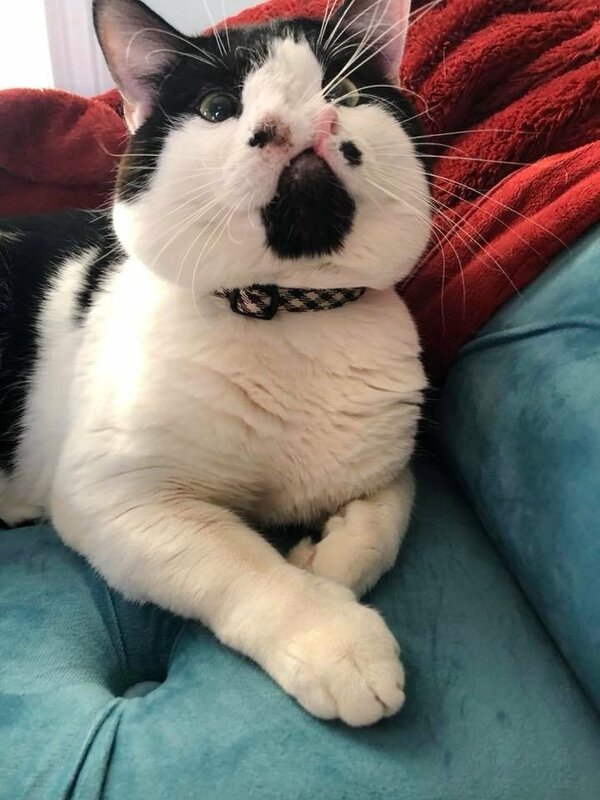 This charming boy is already getting tons of love on the internet as well, and his Instagram page is growing every day! Memphis will be up for adoption soon, and he'll have plenty of suitors. 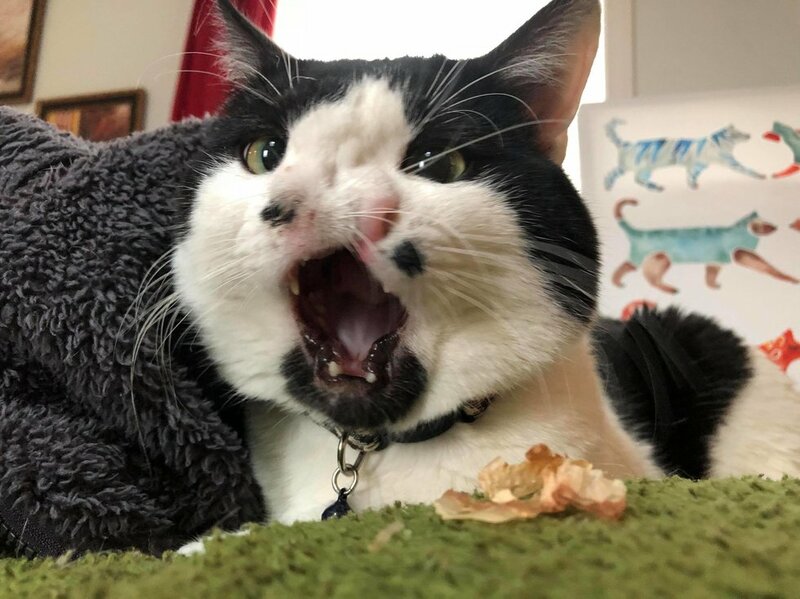 Thanks to The Odd Cat Sanctuary, Memphis got a second chance! Soon he'll be purring and snoring in a furever home!